Since the end of Guardians of the Galaxy, everyone has been asking one big question. 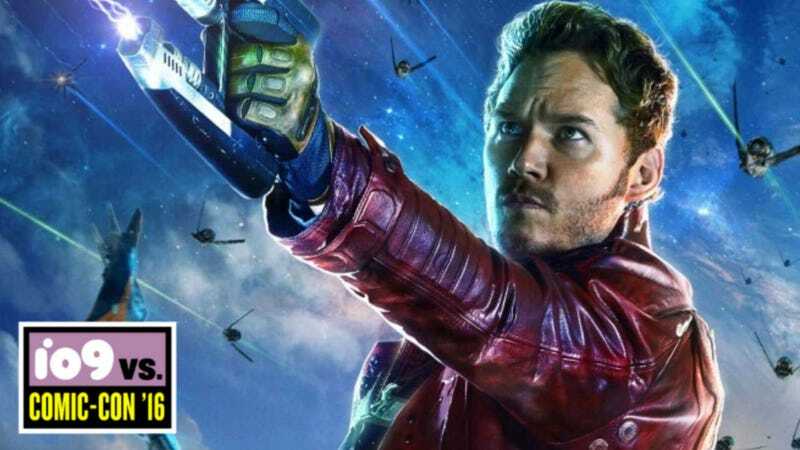 Who is Star-Lord’s father? That answer was revealed last week not in a movie theater, but at San Diego Comic-Con. His dad is the living planet Ego and director James Gunn told us why he revealed that info now, and why it’s so damn important. In Guardians of the Galaxy Vol. 2, Ego assumes the human form in the form of Kurt Russell. He’s still a super-powerful god, however, and that’s a departure from the comics where Quill’s father is the more traditional humanoid-looking alien, J’son. Having Vol. 2 be about family makes sense, considering the team just came together at the end of the first film. To some, it probably makes less sense to depart so far from the comics, but Gunn had very good reasons to do just that. Guardians of the Galaxy Vol. 2 opens May 5; the first trailer will likely be released this fall.